Twitter is a microblogging service that allows you to post very short messages of 140 characters or less – so that they can be sent to a mobile phone as a text message, as well as appear on a web site. The idea behind Twitter is that your messages can update people on your status, pass on web links, or provide short items of information that are needed, perhaps by customers. 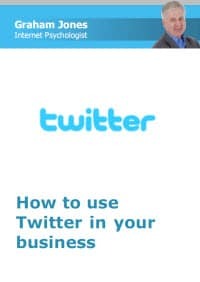 There are several different ways in which Twitter can be used for business purposes, each of which is explained in this free report which you can download using the link below.